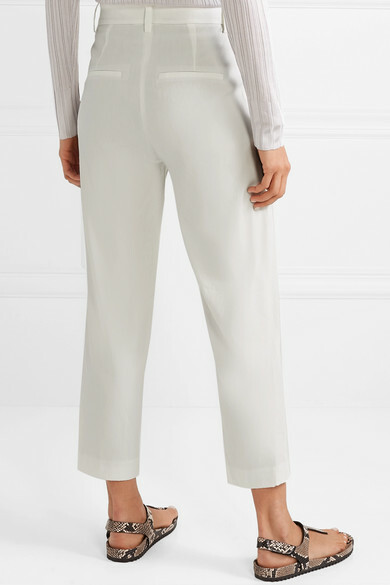 Creative Director Caroline Belhumeur says that although Vince's clothes look pared-back, so much time and attention goes into each one to ensure only the best quality. 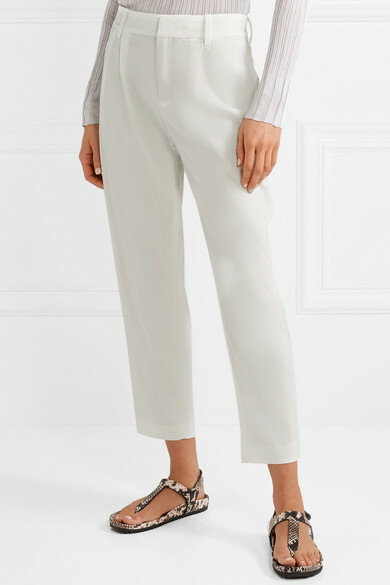 These pants are made from a lightweight and breathable linen-blend and subtly pleated along the waist for a flattering fit. 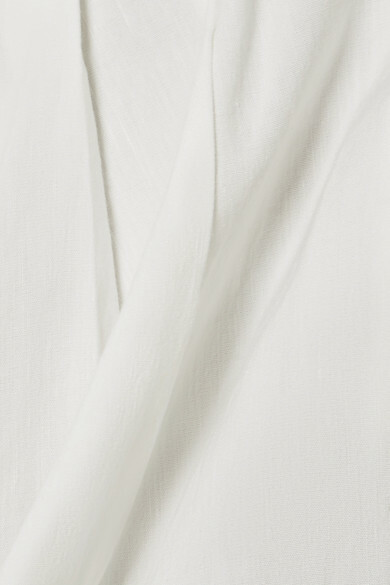 The tapered, cropped hems are perfect for showing off your favorite mules or sandals. 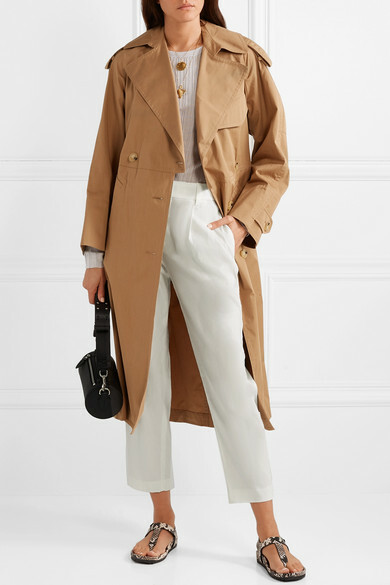 Shown here with: Vince Top, Vince Trench coat, Vince Sweater, Burberry Shoulder bag, Pedro Garcia Sandals, 1064 Studio Necklaces, Alighieri Necklace, Sophie Buhai Cuff, Chan Luu Cuff.